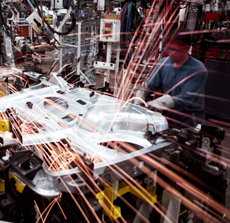 Manufacturers are under constant pressure to produce high-quality products on time, every time. While aiming to reduce costs and increase profitability, you have to deal with the added complexities of economic fluctuations, market governance, and compliance mandates. By automating your procurement, manufacturing, and customer management processes you can gain significant competitive advantages and minimize the costs and risks associated with high inventory levels. Hard goods manufacturers often require additional support for their distribution operations, particularly in the areas of warehousing and logistics. Your company could realize immediate benefits from seamlessly connecting Sage X3 to data collection equipment such as radio-frequency devices, both on the shop floor and in the warehouse. Sage X3 makes it easy to share common data and processes between different foreign sites or subsidiaries, while respecting the specific usages and business rules of each. It also centralizes country-specific parameters, such as legal and market requirements, to offer a single global solution. Fine-tuned to meet your specific industry requirements, Sage X3 provides the advanced functionality you need to be successful in today's global economy.